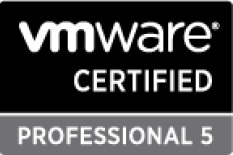 Just passed VCP510 exam today, yay! I have been migrating user mailboxes from Exchange 2007 to Exchange 2010 lately. Apparently a user who has got the manage rights to a distribution list in Exchange 2007, might not be able to manage their DL anymore once his/her mailbox has been migrated to the Exchange 2010. The user will get access denied if they were trying to add/remove a user from the DL they were managing. To fix this, you can tick the check box from the RBAC User Editor/Default Role Assignment Policy. However as you can see in the description of this option, it will also grant the user to add and delete the DL by them self. but not create or remove any new distribution groups. Defaults to: `"Default Role Assignement Policy`"
based on the current state. Write-Warning "Found a Role with Name: $name"
Write-Warning "Trying to Modify Existing Role"
Write-Host "Creating Managmenet Role $name"
Write-Warning "Found Existing Role Assignment: $name-$policy"
Write-Warning "Making no modifications to Role Assignments"
Write-Host "Creating Managmenet Role Assignment $name-$policy"
The script is basically create another role as a child role of the MyDistributionGroups and remove the ability to create and remove DL.